Mysterious Marquise-Shaped Ruby & Diamond 11-Stone Cluster [SH8032] - £595.00 : loveVintageDiamonds.com, Your Vintage Diamond Dreams Come True! 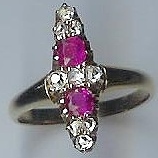 There are two rubies and nine old-cut diamonds in this ring, set really unusually into this marquise-shaped crown. 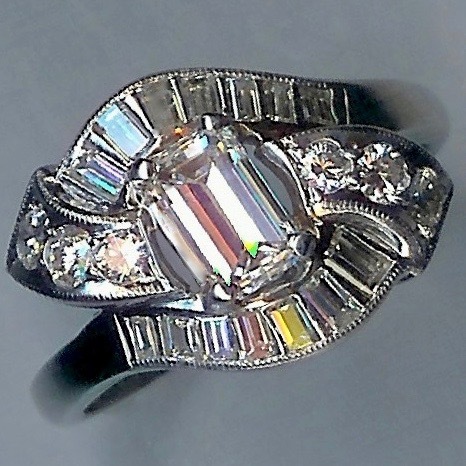 It is the character of the old-cuts of these stones, together with their unconventional arrangement which give this ring a real feel of mystery. 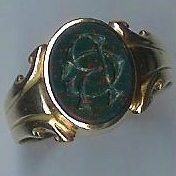 The ring is not marked but is yellow throughout and is likely to be 18ct, though it could be 15ct yellow gold alternatively. We are happy to test the metal upon request. 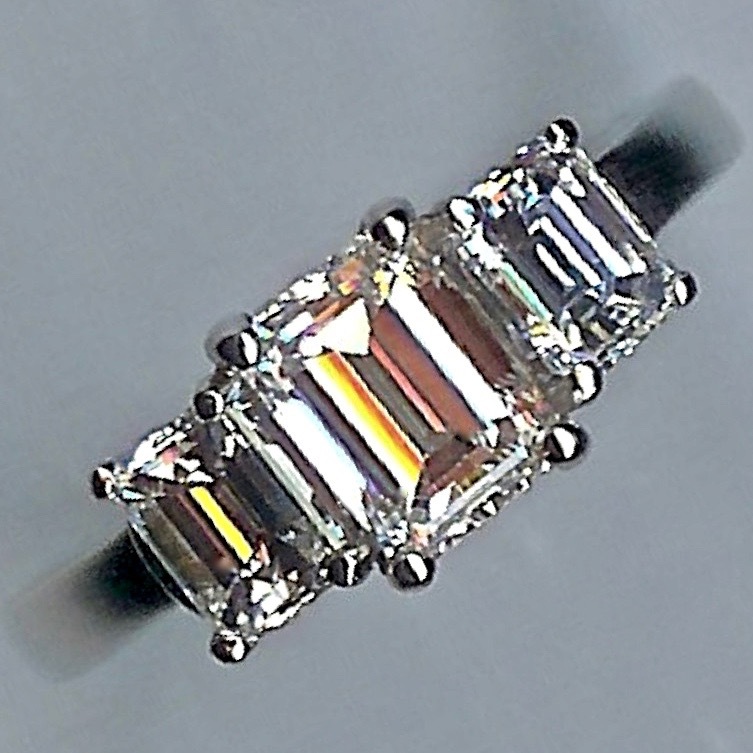 There aren't many dress rings like this one! It currently fits finger size 'L'/2' (UK).